Our Laser Treatments » Pure Radiance Medical - Botox, Laser Hair Removal, Juvederm & Restylane in Delray Beach, Boca Raton And Boynton Beach Florida! The Palomar StarLux IPL machine is a hair removal machine and facial rejuvination machine that is virtually painless, treatments are quick, and there is no downtime. A series of treatments deliver optimum results. IPL treatments can be preformed on patients of any age and skin condition. Hair removal treatments are completed in a series of 6, 1 session every 4-6 weeks. Hair follicle growth occurs every 4-6 weeks. Patients with corrective goals commonly use IPL to reduce skin irregularities caused by sun damage. Hyperpigmentation, the technical term for skin discoloration, appears in the form of age spots and liver spots. Another form of hyperpigmentation is melasmas, caused by pregnancy or menopause. IPL photofacials give a boost of energy to the epidermis, aiding in new collagen production and promoting connective tissue growth. Results are plumper and firmer skin. Photofacials treat rosacea, sun damaged skin, large pores, facial veins, and wrinkles. Fine lines and wrinkles can be diminished with multiple sessions. IPL treatments can be used to rejuvenate the hands; decreasing wrinkles and removing age spots. A series of 5 treatments preformed every 3-4 weeks will provide optimum results. Patients with younger, less problematic skin use treatment as more of a preventative anti-aging solution, generally seeking an overall improved complexion by way of a more even skin tone, decreased pore size, and the radiance of a “new” layer of skin cells. IPL technology enables high-intensity laser beams to emit from a filtered flashlamp. 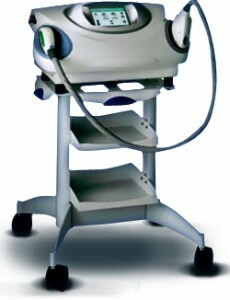 The beams are filled with plasma energy that is channeled through the outer layer of the skin (the epidermis) to the deeper skin layers (the dermis), in order to dissolve and destroy the unwanted skin cells, and promote the growth of new skin cells in the targeted area, thereby removing unwanted pigmentation. Different versions of IPL technology are designed to target different structures of the skin, and which version is used depends on the patient’s desired results of the laser treatment. The most significant benefit of choosing IPL laser treatment over other forms of laser treatment is that IPL technology is non-ablative. This means that the surface of the skin is left undamaged, since the lasers permeate through the outer skin layer to repair the skin from the inside out. No anesthetic is needed for IPL treatment, as the patient experiences very little to no pain. At most, the lasers produce the feeling of a tiny pinch on the skin, or a prickling sensation. IPL patients also experience no post-treatment downtime, and may return to normal daily activities directly after treatment. IPL treatment first results in a more even skin tone and overall improved complexion. Broken capillaries and redness due to skin conditions, such as Rosacea, can be resolved in as little as three sessions. The reduction of age spots and liver spots, as well as hyperpigmentation, require multiple treatment sessions, usually 5 treatments depending on the depth of the skin condition. IPL treatments diminish fine lines and wrinkles by “filling” the skin from the inside out with new skin cells. Scars, birth marks, and stretch marks are also reduced with continual treatment. All results are long-term to permanent. While IPL enthusiasts from the medical side claim that this technology is safest in the laser treatment field and has the least risk of side effects, skin irritation is not uncommon to IPL patients. Redness, itchiness and (rarely) a stinging sensation in the skin, usually on the face, are all possible post-treatment side effects. A definite side effect of any laser treatment is the skin’s increased sensitivity to UV rays. Those “freshly” exposed cells that give the skin its younger looking appearance are substantially more prone to sun damage; therefore, it’s crucial that the patient apply sunscreen after treatment.